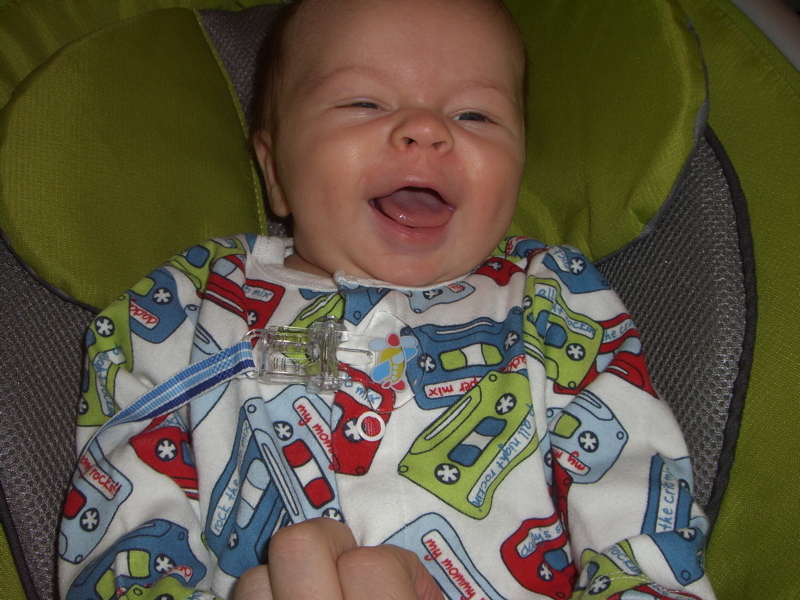 I can’t believe Felix is two months old already. 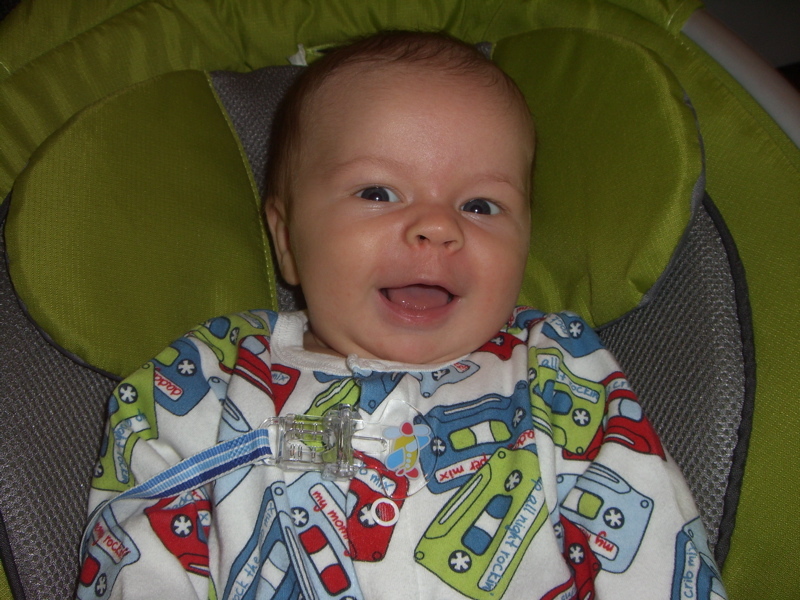 As you can see from the pictures, he seems to have mastered the whole smiling thing. 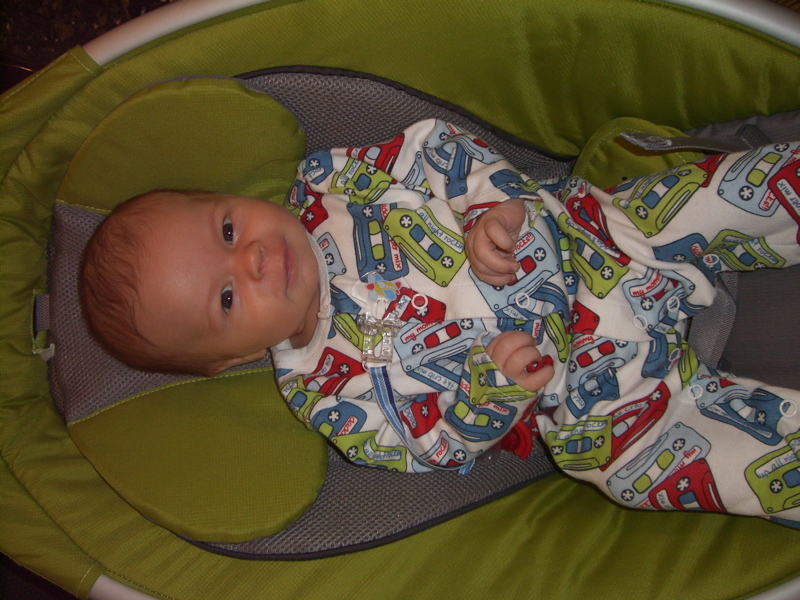 Also, whoever thought that mix tapes would be an awesome pattern for baby pajamas was totally right.